to the community and the surrounding areas. help you feel great through all stages of life! Our mission is to provide the very best, personalized care and give you the individual attention you deserve! Dr. James J. Flood, the founder of ProHealth Chiropractic Wellness Center in Rockville has been serving the community since 1983. He is a graduate of New York Chiropractic College and licensed in the state Maryland with both chiropractic and physical therapy privileges. Nearly everyone will benefit from chiropractic care. If you’ve never had treatment from our Rockville MD chiropractor, there is much our team can offer. A pain-free life can be expected along with good overall health, wellness, and vitality. As your Rockville chiropractor, Dr. James J. Flood and Dr. Darrel Asuncion want to help on your journey to wellness. Over the years, repetitive motion injuries from summer sports can increase neck pain, aggravate lower back pain, cause a frozen shoulder or other should pain, aid in spinal decompression, or prevent you from participating in activities because you want to avoid sports injuries. If you schedule an appointment with one of Rockville’s chiropractors, they can create a treatment plan that supports spinal and sports rehabilitation. Our patient center serving Rockville will provide active release chiropractic adjustments that will support spinal health and provide patient education on overindulgence over the holidays so you don’t push your spine too hard. 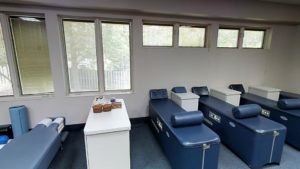 If you have been involved in an accident in Rockville, North Bethesda, or any other area of Montgomery County, advanced chiropractic may be one of the few techniques that will help you feel better. Supportive chiropractic care after an auto accident injury may include dry needling, active release, massage therapy, and other forms of pain management other than pills and surgery. A car accident can cause long lasting pain and suffering, and should speak with a Rockville chiropractor at your earliest convenience. Our chiropractors serving Rockville will discuss the seriousness of the auto accident, and provide you with an accessible version of relief from our chiropractic center. The main reason most individuals approach chiropractor care is to have relief from discomfort. One benefit of total body treatments is the results can be permanent. We work to correct the underlying cause of the problem. Whether you need one adjustment or several treatments, our goal is for you to be free of pain. Pain will no longer interfere with your life. Your individualized program is tailored to your symptoms and yours alone. We’ll use nothing less than state of the art adjustment techniques in addition to the latest chiropractor tools and devices, potentially including physical therapy and nutritional recommendations. The goal is always to get to the root cause of a problem, and not simply cover up the symptoms. Working with the spine is core to what we do, and the concentration on this component of the musculoskeletal system is one thing that sets this proven treatment apart from other approaches. 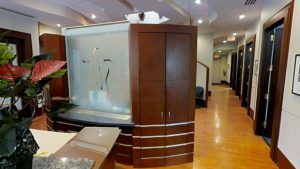 We work hard to be the best chiropractor in Rockville MD, and our reviews and long list of satisfied patients prove we are the best choice in and around 20850. A second benefit is that our treatments provide a natural approach to pain relief. When you choose treatments from our highly skilled professionals, you will not have to rely on addictive medication that can cause side effects. Adjustments and treatments can also be an excellent alternative to surgery. It does not involve many of the potential risks associated with surgery, and there is no long recovery period. You will be able to resume your daily activities after your treatments. Your entire family can benefit from visiting ProHealth Chiropractic Wellness Center. Middle-aged adults and senior citizens do not have to live with chronic discomfort. Teens and young adults who experience sports injuries can become healthier, in a shorter time period. Even children can benefit from a visit to the chiropractor. You will know if your child is growing properly, or if he needs treatment to grow strong and healthy. Dr. Flood has been treating his children and grandchildren since they were born and they receive regular adjustments to optimize their overall wellness and health. If Dr. Flood believes so much in regular adjustments for his grandkids, you can be sure that he believes they will benefit you. There is more to back and neck care than adjustments. When overall health and wellness is your goal, we can help you reach and maintain that goal. We will educate you about alternative medicine, naturopathy, and the options you have compared to traditional medical procedures. Our bodies are extremely powerful and resilient, and often times capable of healing on its own without the use of powerful medications and prescriptions. We want to educate you about nutrition and exercise so you are able to stay healthy for life. By understanding how your body works and reacts to foods, and manipulation, you will see how many health issues can be prevented such as migraines and stress related conditions. Each person is different and has his or her own individual needs. After a consultation and examination with one of our doctors in our state of the art facility, we will create a personal treatment plan just for you. Not only will you feel better, but you should also look forward to lifelong health. When you make the decision to work with our Rockville chiropractors, you realize that there must be a solution to your discomfort. 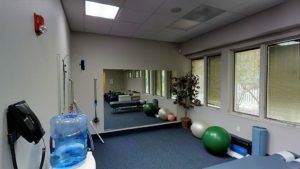 Your personalized treatment and exercise plan will provide you with a physical therapy routine along with manual therapy, exercise, and stretching for your particular ailment. Our best patients are those that follow the safe and effective health movements we recommend. There is nothing more valuable than your health. If you are not eating properly, do not exercise, or suffer from chronic pain, it affects your quality of life. You should feel good and enjoy good health. We can determine the cause of your health problems, and choose the treatment plan that is right for you. Avoid unnecessary surgical procedures, potentially dangerous diet pills or painkillers, and take the natural approach to a healthy lifestyle instead. After you have your first treatment, you will know why so many people today choose this form of alternative medicine that has existed for centuries. There are no complications, no recovery periods afterward, and everyone in your family can benefit. You can start to feel relief after your very first visit to our chiropractic treatment facility in Montgomery County, Maryland. If you live in the Aspen Hill or Rockville area, all you need to do is call 301-231-6550. We will answer your questions and schedule an appointment for you. At ProHealth Chiropractic Wellness Center, we are ready to meet with you, discuss your goals, and help you achieve better health. Call us today to schedule your appointment. We are conveniently located at 11214 Old Georgetown Rd, Rockville, MD 20852. I have been to other chiropractors in Rockville and none of them even cared about my symptoms it was always crack then want me to come back. I really was impressed that they took the time to find my problem and then did the necessary adjustments and recommendations to treat my problem. Was visiting family in Rockville, needed a chiropractor and this place was recommended to me. They were fast, nice and the chiropractor really helped relieve my back pain! I would highly recommend them.